Tibetan Spaniels were used as both companions and watchdogs in Tibetan villages and monasteries. Although not large enough to be effective guard dogs, their barking would alert their owners to visitors, trespassers, or predators. 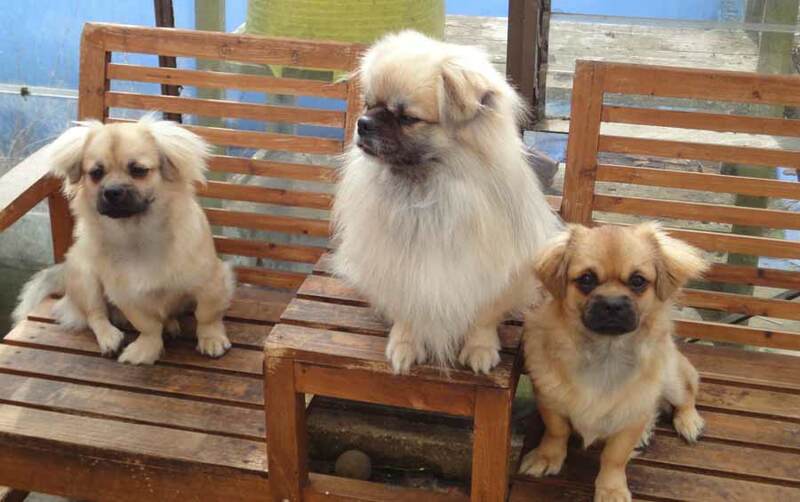 The Tibetan Spaniel breed’s ancestors include the Pekingese and the Japanese Chin. Tibetan Buddhists placed ceramic statues of these dogs in tombs so that the departed would have the companionship of their dogs after death. The Tibetan Spaniel stands from 9 to 11 inches tall and weighs 9 to 15 pounds. The head is small and slightly domed with oval-shaped dark brown eyes and pendant ears. The body is slightly longer than the dog is tall, and the tail is plumed and carried over the back. The undercoat is soft, and the outer coat is silky. The coat is smooth on the face and the front of the legs. The ears, backs of the legs, tail, and ruff are feathered. The Tibetan Spaniel breed needs brushing and combing two to three times a week. The coat, especially the feathers, can tangle and mat. The coat also sheds. Bred for centuries as a watchdog, the Tibetan Spaniel dog breed can be quite standoffish and wary of strangers. Early socialization, beginning in puppyhood, can prevent fearfulness or aggression. As watchdogs – Tibetan Spaniels can also be barkers, but training can help control that. For the most part, training is easy, as these dogs are very eager to please. Many Tibetan Spaniels serve as therapy dogs. This breed is very affectionate and loves to be with people. Tibetan Spaniels are good with children who do not treat them roughly or with disrespect – Tibetan Spaniels can get overwhelmed in situations with a lot of children. The primary health concern is eye problems, including PRA and cataracts. Share your Tibetan Spaniel story. Note: Upload only Tibetan Spaniel picture or your picture with Tibetan Spaniel below - spammer's ip may be blocked.